December is a month full of family and feasts, but it’s also full of great live music. Some events are themed around the holiday season, while others are just simply a chance to get out and dance the night away. There’s an impressive amount of live music happening this month. And stay tuned for a special column later in December about what’s happening on New Year’s Eve around Peterborough and the Kawarthas. The Peterborough Folk Festival presents another impressive concert at the Gordon Best Theatre (216 Hunter St. W., Peterborough, 705-876-8884). On Friday, December 4th, The Bros. Landreth will hit town. With unique guitar-driven tunes with a whole of lot of feeling, The Bros. Landreth is one of those bands where musicianship meets feel and creates something special. Opening the show will be the super-talented The Ballroom Thieves from Boston, as well as local fave Melissa Payne. Doors open at 7 p.m. and the show begins at 8 p.m. Tickets are $15 at the door or in advance at The Only (below the Gordon Best) or online at www.ticketscene.ca. This is sure to be one of the best shows of the year! Whether you’re a Sagittarius or not, you’ll want to head to The Arlington Hotel (32990 Highway 62, Maynooth, 613-338-2080) for the Ninth Annual Sagittarius Party, featuring Toronto funk band extraordinaire House of David Gang, on Saturday, December 5th. There’ll be greats beats, deep grooves, and a celebration of those born between late November and late December. Dance and listen to great funk at a truly great venue. The celebration will also feature DJ Robbie Sea and comedian Ronnie Edwards. Tickets are $12 in advance or $15 at the door. Toronto southern-rock group White Cowbell Oklahoma are kicking off a big tour right here in Peterborough on Wednesday, December 9th at The Historic Red Dog Tavern (189 Hunter St. W, Peterborough, 705-750-1710). Chainsaws, rock, high-energy and antics galore as the band (which now includes local musician and Mokomokai member John Ellis) rocks every venue they play right to the core. Come get warm at The Red Dog. The show begins at 10 p.m. with tickets available at the door. For some folks, the “In From The Cold” Christmas Concert is a highlight of the holiday season. This year, the 16th annual fundraiser for the Youth Emergency Shelter (YES) takes place on Friday, December 11th and Saturday, December 12th at Market Hall Performing Arts Centre (140 Charlotte St., Peterborough, 705-749-1146), beginning at 8 p.m. on both nights. The concert, dubbed “The Heart of a Peterborough Christmas”, will feature acts such as Carried Away, The Convivio Chorus, Curtis Driedger, Michael Ketemer, and Tanah Haney. Tickets are $20 for regular and $15 for students and children, with all proceeds going to YES. Get your tickets at the Market Hall Box Office, online at www.markethall.org, or at Moondance (425 George St. N., Peterborough, 705-742-9425). Grier Coppins and Taxi Chain make their return to Peterborough to play the “While the Night is Young” series at The Spill (414 George St. N., Peterborough, 705-748-6167) on Saturday, December 12th at 8 p.m.
Bagpipes mix with blues-rock, funk and Celtic bringing a danceable and unique sound to the stage. The five-piece band will impress with their versatility and eclectic nature. Tickets for the early show (8 to 10 p.m.) are available at The Spill in advance for $10 or at the door on the night of the show for $12. The band will also play a later show with a separate door charge. I cannot recommend these guys enough. What a band! 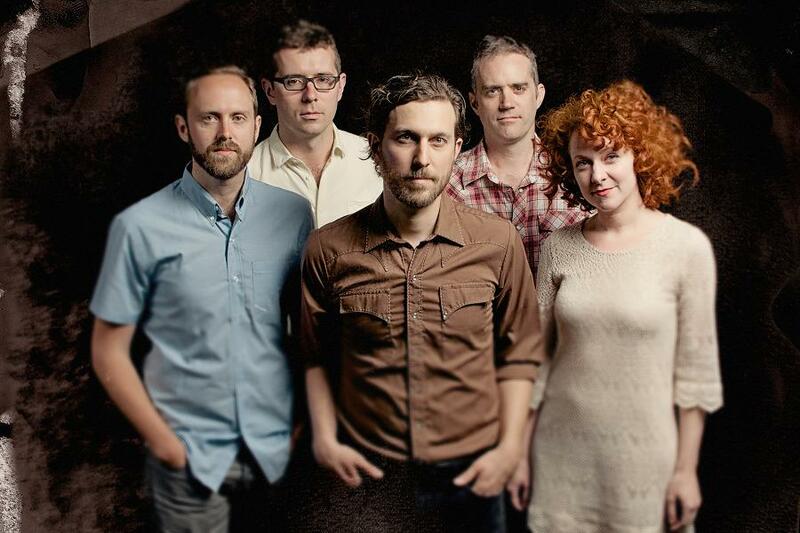 The second Peterborough Folk Festival concert this month will feature well-known Canadian act Great Lake Swimmers in concert at the Gordon Best Theatre (216 Hunter St. W., Peterborough, 705-876-8884). Taking place on Thursday, December 17th, this show will be a chance to see a great band in an intimate setting. The show begins around 8 p.m. and will be opened by Sam Patch, a new solo project by Tim Kingsbury from Arcade Fire. Tickets are $25 and are available at The Only (below the Gordon Best) or online at www.ticketscene.ca. Take a break from winter with some delightful surf/rock vibes at The Historic Red Dog Tavern (189 Hunter St. W, Peterborough, 705-750-1710) with Toronto guitar heros C & C Surf Factory on Friday, December 18th. C & C Surf Factory features Colin Cripps (Blue Rodeo/Junkhouse/Kathleen Edwards) and Champagne James Robertson (Lindi Ortega) along with a killer band. Instrumental tunes have never been so riveting. Opening the show will be Peterborough’s own Mayhemingways with their unique brand of fuzz folk/Cajun/bluegrass. The show begins around 9 p.m. with tickets available at the door. They have become a household name all through Canada and are known as one of the best live bands around. On Saturday, December 19th, The Weber Brothers present “A Weber’s Christmas” at Market Hall Performing Arts Centre (140 Charlotte St., Peterborough, 705-749-1146). Sam and Ryan’s music is full of energy and heart and this will be a Christmas show like none other — and it’s also a Christmas album release concert for the band. Opening the show will be Ottawa area artist Brock Zeman. Tickets are $25 and are available at the Market Hall box office or at Moondance. The show begins at 8pm. the Market Hall Box Office or online at www.markethall.org. Tickets are also available (cash only) at Moondance (425 George St. N., Peterborough, 705-742-9425). Another well-known Peterborough band also takes to the stage on Saturday, December 19th. The Silver Hearts will present The Silver Hearts X-mas Show with James McKenty at the Gordon Best Theatre (216 Hunter St. W., Peterborough, 705-876-8884). The Silver Hearts drift between jazz, tin-pan alley, blues, and more. A number of instruments and singers combine for a show full of character and characters. The show begins at 8 p.m. at a cost of $10 in advance or $12 at the door. World-class Canadian guitarist Jesse Cook returns to Peterborough on Sunday, December 20th at 7:30 p.m. at Showplace Performance Centre (290 George St. N., Peterborough, 705-742-7469). Cook is a skilled player who merges elements of flamenco, jazz, and other forms into his work. He is a Juno Award winner and has numerous other awards under his belt. Josh Fewings is a local writer and musician who plays with Mayhemingways, Grainne and the Sons of Birches, Occam's Blazer, and Slim Picket and the Union Cards. 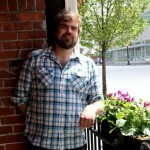 He's a regular contributor to kawarthaNOW, covering music, musicians, and upcoming concerts. You can follow Josh on Twitter at @JFew82. Operated by the Spiridis family since 1969, the family restaurant will close on June 2, 2019.